This is a leaf/debris skimmer for pools, stowed on wall hooks. It's a decorative object. 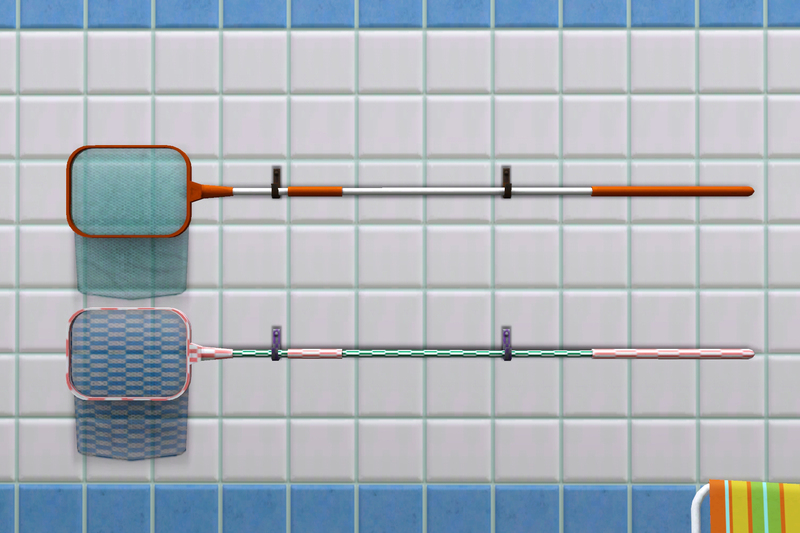 The mesh and textures were adapted from Pool Rescue Equipment in TS4's Get Together expansion pack, but this is not a direct conversion per se as only a select portion of the TS4 assets was used. There are two presets and four recolourable channels. Mini TVs for your desks, counters, and dressers - BONUS LCD TV INCLUDED!